INTERIOR SALES AREA: Very small but the place to ask for advice from the owner. 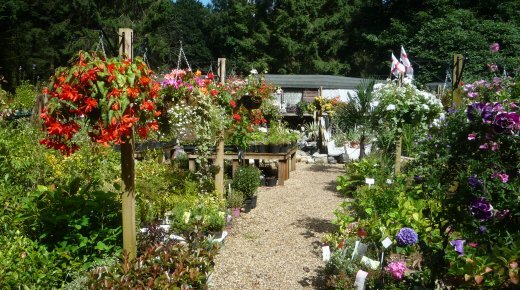 Thorpe Plant Centre has been in business under the current owner for over 25 years. When the land was first purchased it was an empty area with just a few Christmas trees growing in it. It is now a thriving plant centre with an established history. 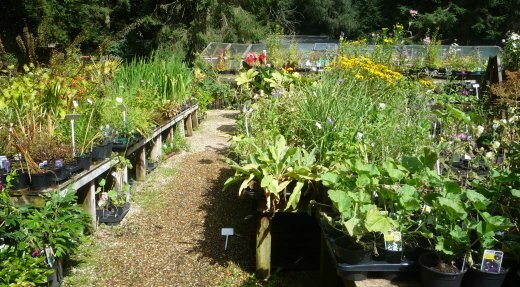 It is surrounded by woodland making it a very peaceful area for plant shopping. Although the sales area is small compared to most modern garden centres, the entire area is devoted to plants. The owner has crammed in a large choice of shrubs, ornamental and fruit trees, perennials and seasonal plants. 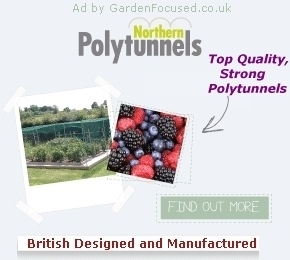 The result is a plant choice which compares well to far larger garden centres. The area has gravel paths which are easy to get round. Some of the displays are off the ground and some are on the ground. There are no signs but the compact nature of this plant centre encourages you to wander round and discover plants which maybe you would not has considered normally. We were particularly impressed with the range of larger shrubs which can be used for immediate impact. All the plants looked in excellent condition and prices are very competitive. They stock a range of composts, bagged stones, bark chippings, mushroom compost, rockery stone, ornamental pots and fertilisers. In the build up to summer there is a stunning display of seasonal bedding plants. Many of the locals regularly order their hanging baskets from Thorpe Plant Centre. At Christmas they stock a full range of real Christmas trees plus a very popular range of wreaths. The have a Facebook page which can be found here. Privately owned and run for over 25 years. The current owner has been there for all this time. WHY NOT LEAVE YOUR COMMENTS ABOUT THIS GARDEN CENTRE? ENTER THEM BELOW WITH A STAR RATING. EMAIL ADDRESS IS OPTIONAL. All our review entries are totally free.